It is ten o`clock at night. Very hot. I use this moment of rare calm and solitude to design the new house. I look through the window and parked in front of the building is a BMW X5. A young man of about 27 slides out of the car with a stunning blonde fearfully clutching her Prada bag. An almost-black, almost-beggar approaches asking if he can watch the car for R$ 5,00. They go into a Japanese restaurant. On the radio, which I will turn off within ten seconds, there is talk of the most recent kidnapping and a prison rebellion. I read my notes of the first meeting with the clients, a couple in advertising. We spoke of an enormous library in the living-room with double high ceilings, enormous windows opening completely to the garden, a pool 3 x 30m, a kitchen with an orange lunch table in the center, two symmetric marble staircases lit by focused natural light, a precisely detailed work studio, spaces of rare and elegant proportions which always relate to the exterior differently, white textures, an Eero Aarnio ball club chair, minimalism, the 60’s, electronic music, Stockhausen Cage, the latest issue of Visionaire magazine, a recipe for spaghetti al mare and finally “My Uncle” by Jacques Tati. I think of a single enormous volume wrapping everything: a white box. In São Paulo, we don’t need to be concerned about environmental coherence; it is total chaos, the most absolute chaos. In this city, the world’s ugliest, which overflows energy, vibrant like no other, loved and hated, anything that is projected will be totally integrated into the city. Ah, yes, don’t let me forget an enormous wall protecting the house, covered in natural wood (maybe from the last tree of the Amazon), and which, certainly, will be completely covered by graffiti, giving the final touch in perfect harmony with the environment. From a humble architect of the third world. 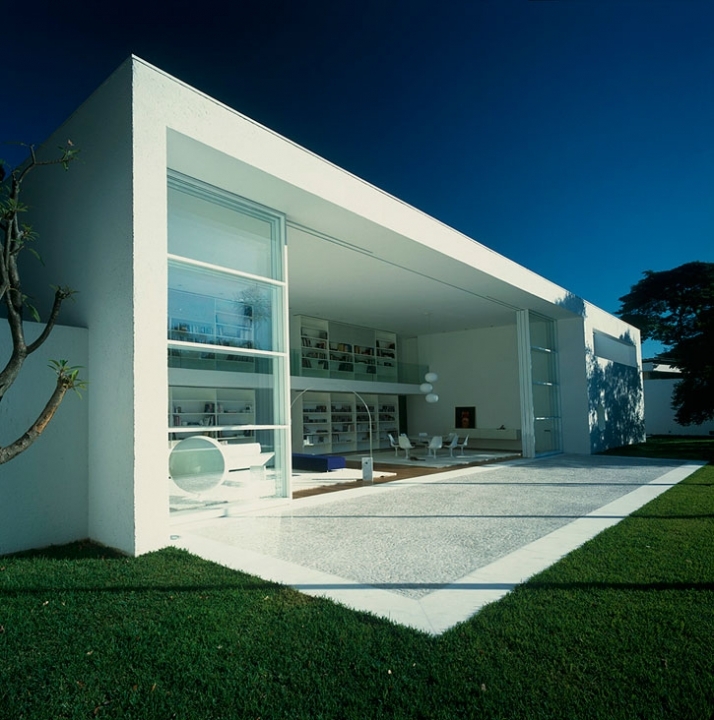 No article in the world can express better the letter from the architect which you just read; the needs and the taste of the occupants of the house “stirred” with the architects inspiration, creativity, know-how and design. 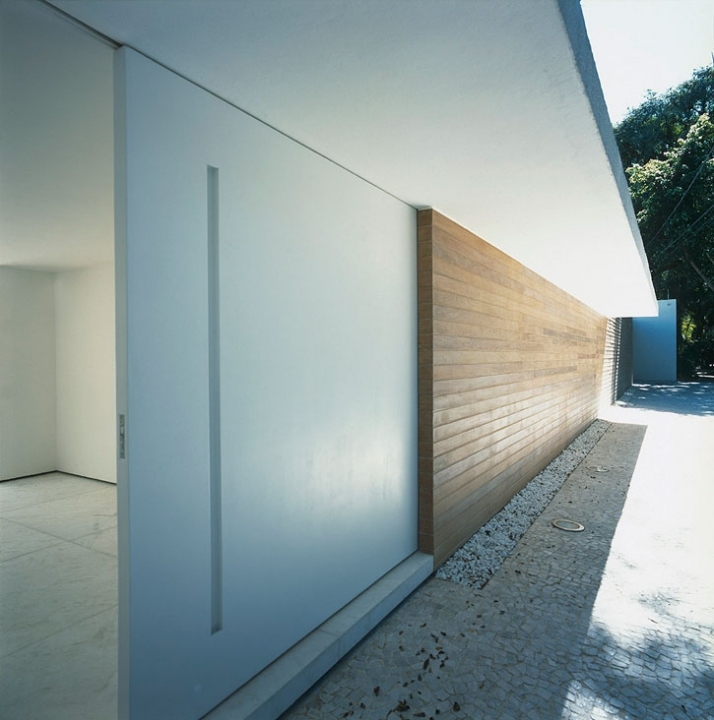 The concept, a white parallelogram box which encloses 700 square meters of living space in two floors situated in a plot of 1700 square meters and enclosed by enormous walls protecting the house which will be covered in natural wood. Gama Issa is a modern sustainable house which despite the concrete block which forms the house has a transparency between the garden, the parallelogram pool that runs along the house, and the interior of the house. The transparency of the house is achievable through the large sliding glass panels which serve as a wall and have magnificent views of the garden and the pool. 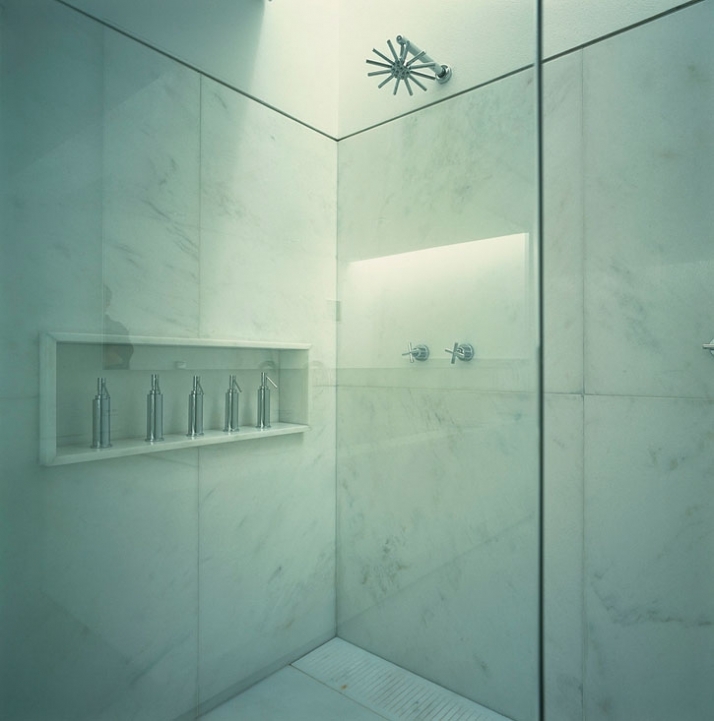 Natural day light and ventilation are available throughout the entire house. 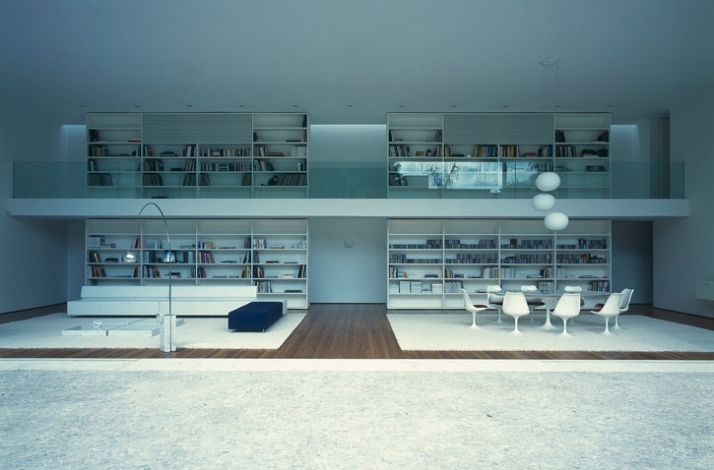 While when one sits at the garden and looks inside the large sliding glass panels, he views the never-ending bookcases, which occupy one wall on both floors, and run from floor to ceiling neither of which seem to touch the floor or the ceiling due to the construction detail which runs throughout the house. 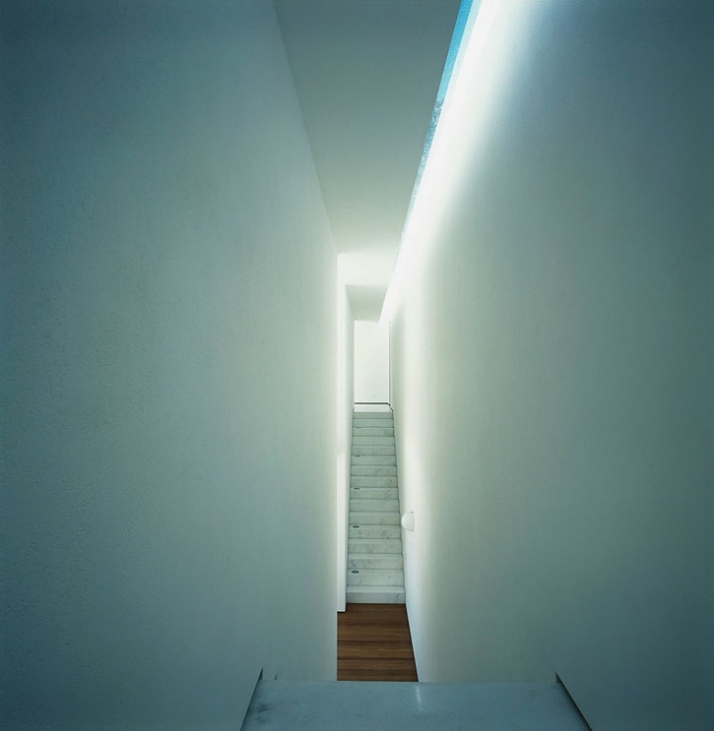 The house’s clean lines and austerity compellingly portray Kogan’s clean and serene design concept as opposed to the chaotic and noisy city of Sao Paolo. 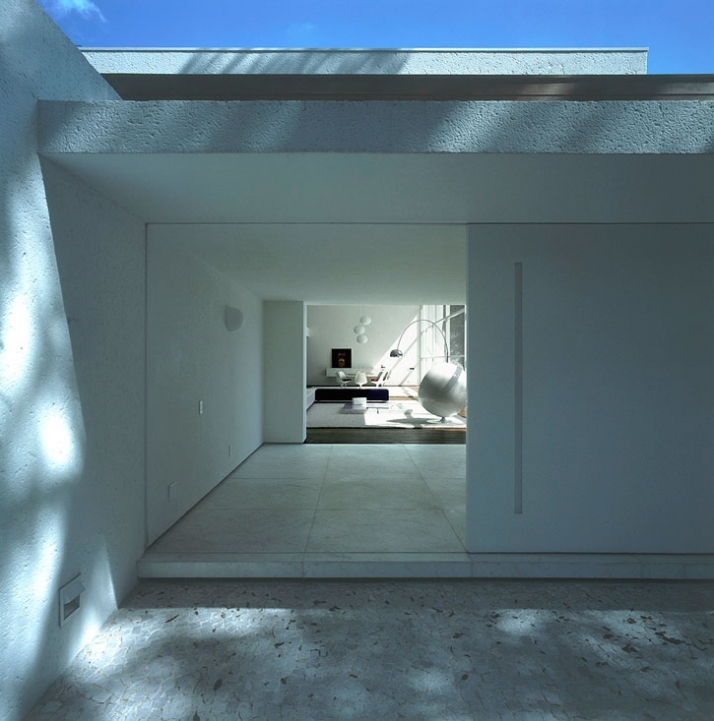 The house’s exterior is painted in a cold white tone to take full advantage of the Brazilian sun, and create a contrast with the surrounding environment. 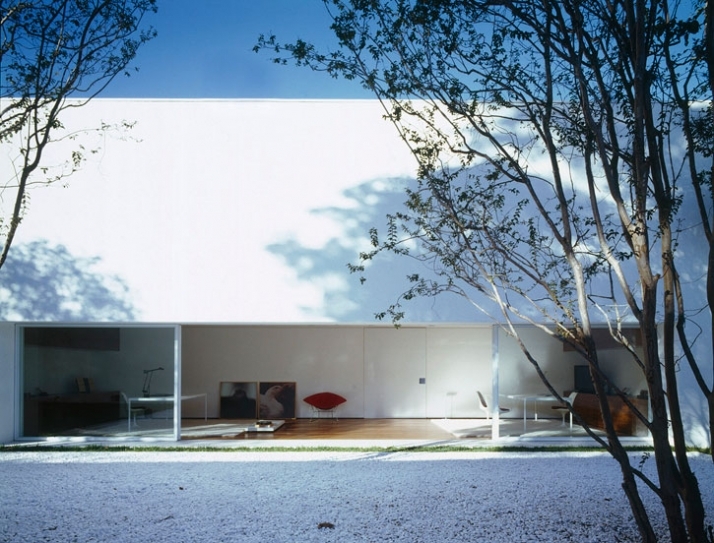 Despite the description of the architect about the city of Sao Paolo, Gama Issa House portrays calmness contrary to the noisiness right outside the tall white wall which sets the boundaries to this house. 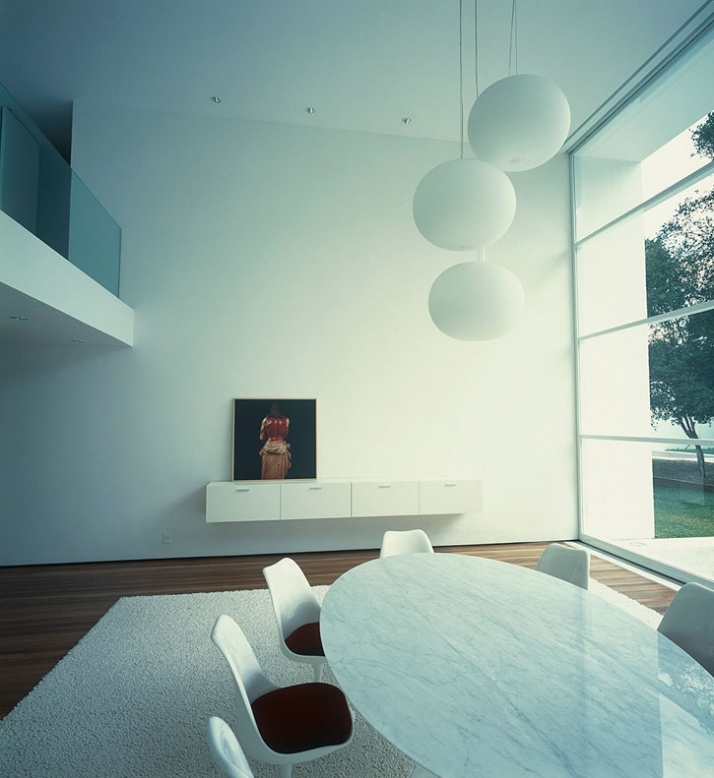 The interior of the house continues to be covered in tones of white through the usage of various materials like a white toned marble staircase thus reflecting the ambient sunlight which surpasses the large glass panel windows. The house’s interior spares any unnecessary decoration and really sticks to the simple modern furniture pieces. The wooden floor makes a great contrast between the lighting pieces and the clean cut furniture of the comfortable and elegant lounge. Colorful modern paintings have been used throughout the house to give a vigorous tone. 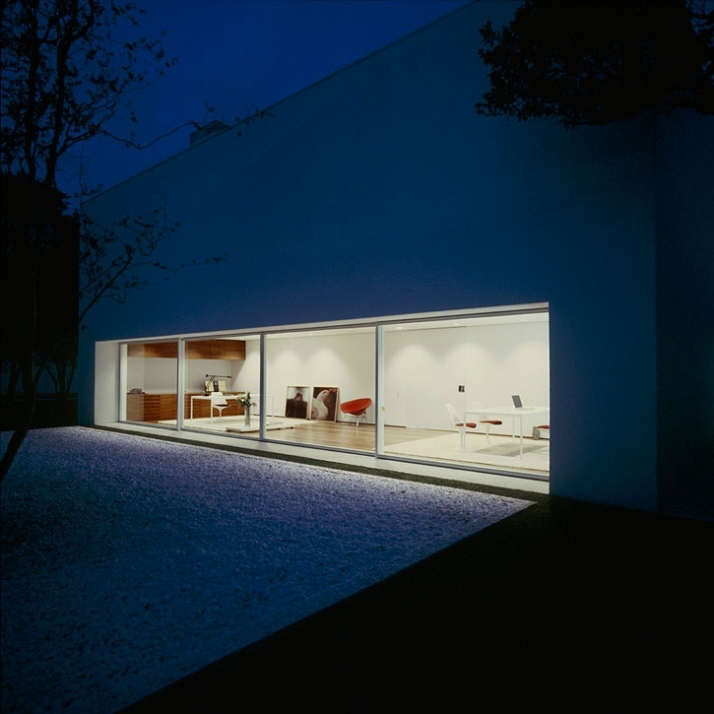 Interior and exterior construction details are very well executed and this shows very well in the end result.